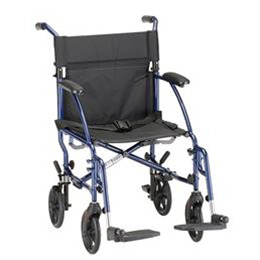 Much lighter and more manageable than a wheelchair, transport chairs are a great option for those looking for something a little more convenient to travel with. Weight Capacity / Wt Cap: 250 lb. Total Product Weight: 17 lb.